If you are a Georgia resident who plans to put a child through college, it's important to learn about the tax benefits available by contributing to the state's 529 College Savings Plans. If you save enough through this plan, you'll have less stress at admissions time about applying for financial aid or searching for scholarships. Your investments in these accounts grow free of both federal and Georgia state income taxes. In addition, all withdrawals used for qualified higher education expenses are exempt from federal and Georgia income taxes. Qualified expenses include not just tuition, but also certain room and board costs, computers and related technology expenses, books, fees, and equipment. The state also offers a sizable tax deduction for residents who contribute to its Path2College 529 plan. Contributors may deduct up to $2000 per year on their state income tax form, or $4000 for joint filers. Georgia’s plan generally receives high marks, mostly due to its lower-than-average investment fees. Age-based investment options: This option takes into account the beneficiary’s current age and the number of years before the beneficiary turns 18 or is expected to start college. This option is good for people who want a simple, all-in-one portfolio option. Guaranteed investment option: This investment option seeks to preserve capital and provide a stable return. These options may be good for those with shorter timeframes, or those who have a lower risk tolerance. Multi-fund investment options: These investment options are good for account owners who prefer to select an investment portfolio for its specific asset allocation. Each multi-fund investment portfolio is allocated to multiple underlying funds and/or a funding agreement and has a different investment objective and investment strategy. Single-fund investment options: These investment options are each invested solely in either shares of a single Underlying Fund or a Funding Agreement. This option may be good for people who are interested in specific single funds such as equity index, money market or social fund options. TIAA-CREF Tuition Financing, Inc manages Georgia's program. It's simple to open an account online—you only need $25 to start. Georgia state employees can contribute money to their Path2College 529 plans through a payroll deduction option, with a minimum contribution of $15 per paycheck. The maximum contribution limit for all Georgia plans is $418,000. Georgia residents can deduct up to $2,000 per year on state income taxes for every beneficiary of the plan. If you have five children, for example, you can deduct $10,000 from your state income taxes for contributions to your 529 plan. You also don't need to itemize deductions in order to claim this deduction. In other words, even if you cannot deduct anything else, you're still able to subtract your contributions to the plan from your gross income on your Georgia personal income tax return. Residents wrestling with the use of the Georgia Section 529 plan versus other college savings vehicles need to factor in the potential savings of this state income tax deduction. Remember, Georgia residents only receive a deduction for contributing to the Georgia Section 529 plan, not plans from other states. Given that the top income tax bracket for Georgia residents is 6%, each contribution of $2,000 could save up to $120 at tax time. In other words, receiving the deduction could be similar to receiving a 6% bonus on the amount contributed. You can use Path2College 529 Plan funds at any accredited college or university in the United States, and at many located outside the U.S. The money in the account can be used for qualified education expenses. 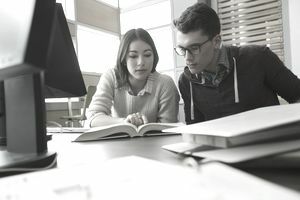 As with most states, any deductions from your 529 plan that you do not use for higher education expenses may be subject to both state and federal income tax.